Legends Village is Firing It Up as we enter the fifth week of our Community Outreach Program! Legends players, along with our Director of Community Operations Alex Sheldon, have visited the Ronald McDonald House at Stanford a total of four times. Sam Cohen, Nick Gavello, Jackson Lancaster, and Richard Peoples were the first to visit, and they were elated with the number of children present. 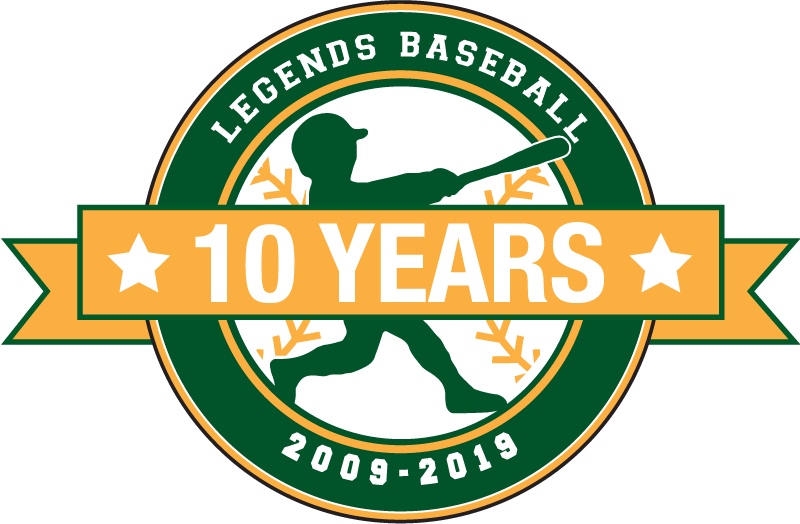 Their experience as Legends baseball camp counselors enabled them to effortlessly organize a scrimmage, which brought a smile to every child’s face. 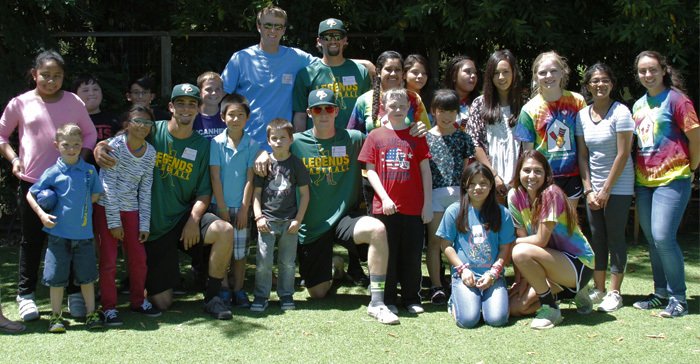 The following week Erik Amundson, Jonathan Hernandez, and John Montgomery visited the Ronald McDonald House. They set up batting practice for the kids to participate in and were ultimately astonished by the number of heavy hitters in group. These three Legends players proved to be extremely popular as the kids did not want the afternoon to end. We may certainly conclude there was a connection made between child and player at The Ronald McDonald House. The third group of Legends players to visit the Ronald McDonald House was comprised of Sean Thompson, Ryan Rosa, and Ryan Hogan. They followed the first group’s lead by coordinating a scrimmage, which greatly entertained the children. Legends catcher Sam Cohen made his second appearance at the Ronald McDonald House with fellow Legend, Nick Gagnon. 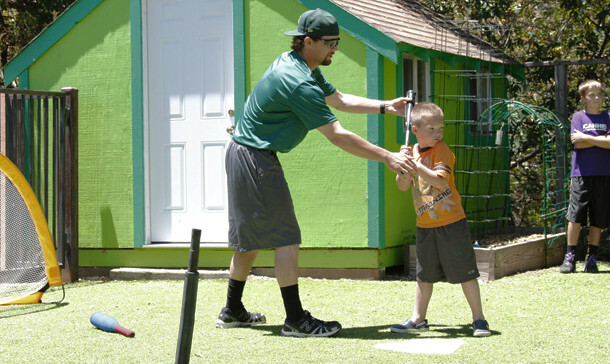 The pair hosted a home run derby, much to the children’s delight. Sam Cohen took his role very seriously as he spent part of the day donning a tiara to amuse his new little friends. The Legends catcher and pitcher capped off an eventful day by signing autographs for the children on their way home. 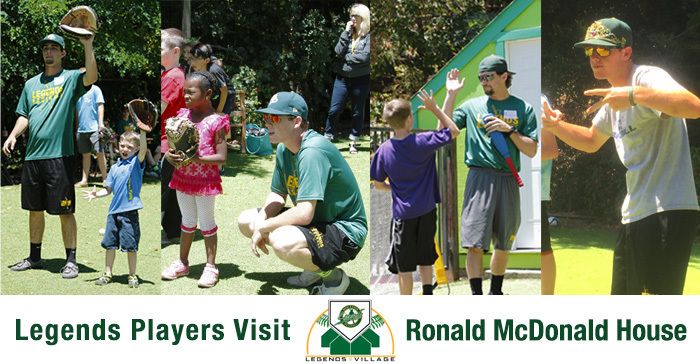 Next week the Legends will make their last visit to the Ronald McDonald House where a new group of Legends players are eager to make their mark in Legends Village!